There are some YouTube stars who have squeaky clean records and ultra-promising futures (*cough* Carli Bybel *cough*). Through the success of their channels, they have been able to acquire millions of subscribers, their own endorsement deals and brands, and worldwide recognition as some of YouTube's top influencers. But on the other hand, there are a massive amount of YouTube stars whose success has irreversibly been overshadowed by controversy: Some have been exposed for their use of racial slurs, which is obviously a quick way for one's career to deteriorate at this point in time. A few have caught unwavering criticism for culture appropriation. And others have fallen subject to the wrath of social media amid stunts gone wrong. Whether they were dropped from major deals or labeled as social outcasts as a result of their actions, here are ten YouTube stars who killed their careers in a matter of seconds. 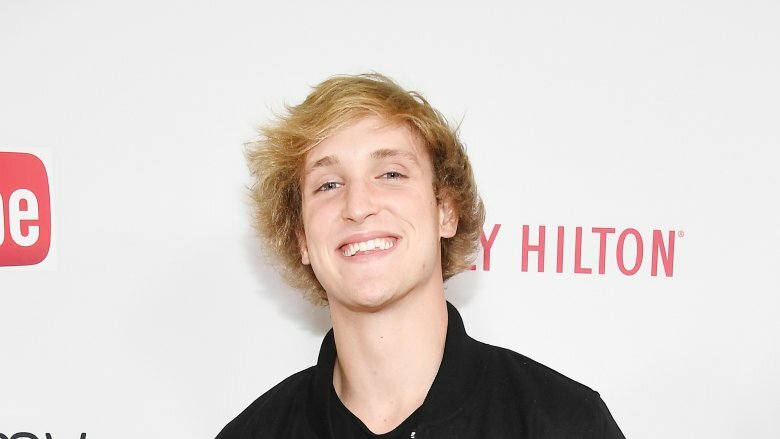 YouTube sensation Logan Paul is notoriously reticent for doing all kinds of exhilarating stunts, but he totally crossed the line with a post he shared to his channel in December 2017. He reportedly uploaded a video that showed a dead body hanging from a tree in an apparent suicide in Japan's Aokigahara Forest, which immediately drew harsh criticism and worldwide condemnation from fans, suicide prevention advocates, and even celebrities. He later apologized, saying that he was simply trying to bring awareness to suicide and suicide prevention, but, as of the time of this writing, the stunt still hasn't quite blown over. It also didn't help when, weeks later, Paul uploaded a disturbing video of himself zapping rats with a taser gun. 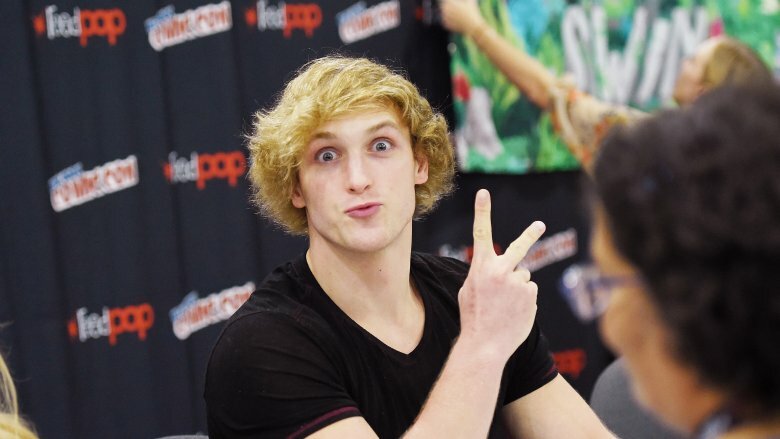 As a result of Paul's patterns of behavior, YouTube temporarily suspended his ad revenue, one of the biggest sources of income for YouTubers, which showed that everyone was extremely fed up with his antics. 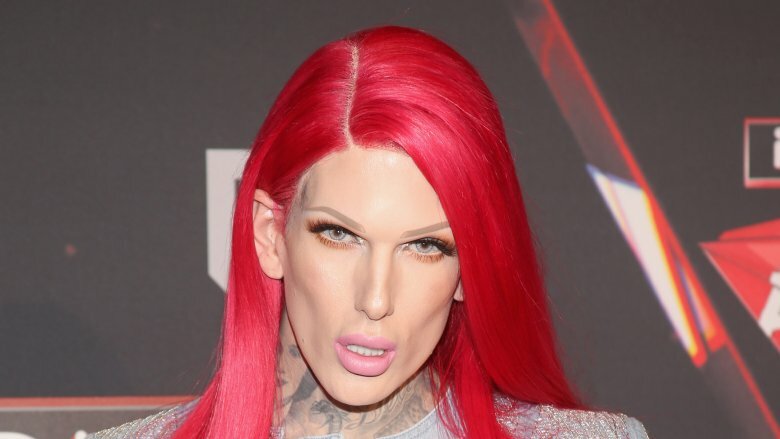 Jeffree Star has undeniably had penchants for drama and controversy since he started his career back in the Myspace age: He's been blasted for making several racist comments over the years, and has even feuded with mega-beauty moguls like Kat Von D and Kim Kardashian. But when he slammed the quality of products from Kylie Jenner's groundbreaking brand Kylie Cosmetics, his comments were the final nail in his coffin. Star has feuded with Jenner since at least 2016, but in December 2017, he called out the lip kit mogul over her new makeup brush set, suggesting that her team had been "lazy" and constructed the brushes out of "animal hair." Two months later, in February 2018, Star revealed that Jenner had taken him off her Kylie Cosmetics press list as a result of his comments, and we all know how things go once you tick off the Kardashian/Jenner clan. Didn't anyone tell him that there aren't any limits to the Kardashian curse? 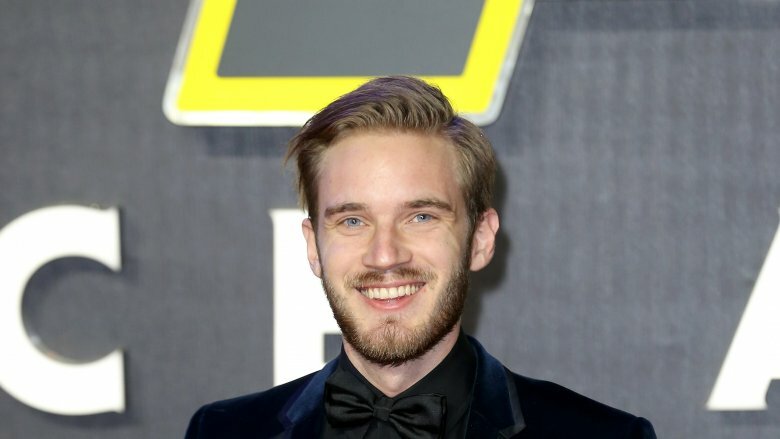 PewDiePie was already on thin ice after he used anti-Semitic language and Nazi propaganda in his posts, so fans were highly disappointed when he slipped up and used the N-word during a live stream in 2017. According to Variety, the vlogger was playing against an opponent in the game PlayerUnknown's Battlegrounds when he yelled, "What a f—ing n—–… Sorry, but what the f—." On Sept. 12, 2017, he posted an apology to his channel, saying, "It was something I said in the heat of the moment. I said the worst word I could possibly think of, and it just sort of slipped out. I'm not going to make any excuses as to why it did, because there are no excuses for it." But with such a large following (61 million at the time of this writing), his comments aren't exactly ones that can be fixed with just a simple apology. 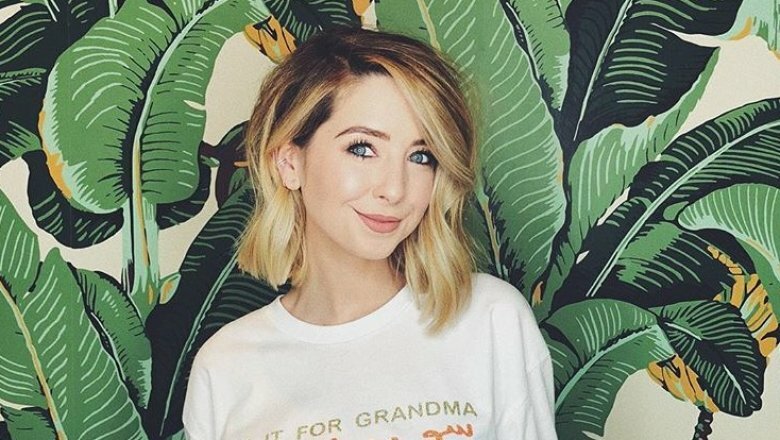 When Zoella released her beauty advent calendar in late 2017, she probably didn't expect her fans to react the way they did: Instead of sending Zoella congratulatory messages or buying their own calendars, her followers took to social media to blast her over its "hefty" price. And unfortunately, while they were trolling her page, some of her old tweets were unearthed, in which she hurled hurtful gay slurs and nasty fat-shaming comments. In a series of messages shared between 2010 and 2012, Zoella reportedly called someone on The X Factor a "fat chav" and said that an unidentified woman should "keep her legs shut." She later attempted to clear up her comments, saying they were "taken out of context" and were ones she "wouldn't use now," but honestly, no one was really buying it. She tweeted, "I've seen a few of my old tweets from 7/8 years ago floating around (which I have now deleted) using words like "chav" "skank" and other words I wouldn't use now as part of my language and lot of them were taken out of context referring to TV shows but I would never say those." Did you roll your eyes, too? When people get accused of culture appropriation, it usually invokes the conversation about where the line gets drawn and how to move forward progressively without making similar mistakes in the future. 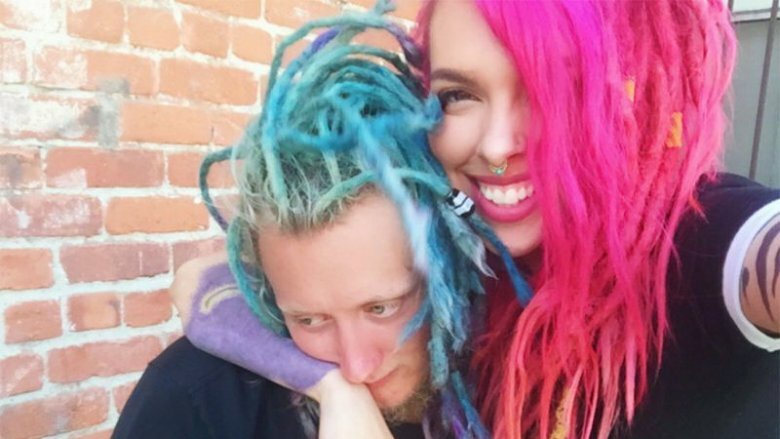 This was (kind of) the case in 2017, when Sampson uploaded a photo of he and Rose to Twitter rocking neon pink and blue locs. Similar to most claims of culture appropriation, the duo caught heavy backlash for their hairstyles — especially because Sampson had captioned the pic "2 years of Cultural Appropriating," signaling they clearly didn't care who they'd offended by wearing the hairstyle. Social media users fired back by pointing out the fact that black people continue to be stigmatized for wearing locs, and others straight-up deemed the two as racist and insensitive. To make matters worse, while they might've earned some sort of redemption for apologizing and moving on, they totally refused to say sorry. In a video shared to YouTube, Sampson maintained that, "It's such an absurd thing to be enraged about." And, according to Teen Vogue, Rose claimed that she wasn't racist. She also refused to acknowledge the fact that black people are, indeed, discriminated against for wearing locs, which was more than enough of a reason for fans to leave them in dust. 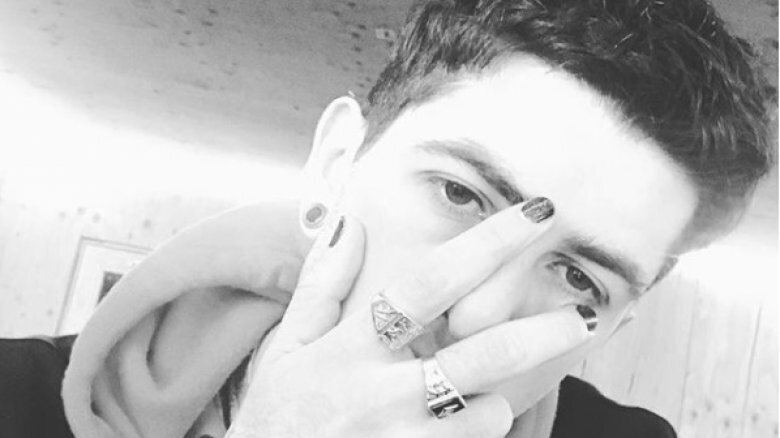 Sam Pepper has been embroiled in various controversies over the years: On Sept. 20, 2014, the YouTuber posted a video that showed him pinching the bottoms of unsuspecting women. The video resulted in such heavy calls for it to be taken down that YouTube removed the post just two days later. Despite his claim that the video was a prank, it sparked a series of sexual misconduct claims against Pepper (which he denied), and he was reportedly banned from attending Playlist Live, a major networking event for YouTube stars. Though you might think that Pepper would've learned his lesson from such intense criticism, he clearly didn't because in 2015, he uploaded another "prank" where a man was led to believe that his best friend had been murdered in front of him. The stunt saddled him with even more backlash, including calls to have his channel deleted. At the time of this writing, he's still active on YouTube, but he definitely lost a lot of followers due to these "stunts." 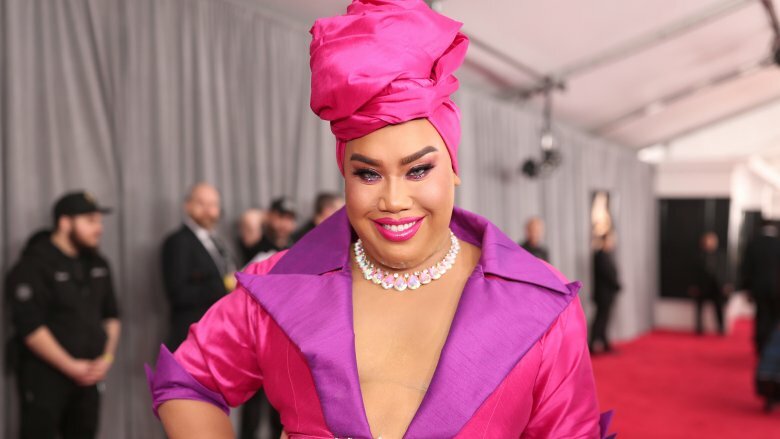 Patrick Starrr has amassed more than 3 million followers on YouTube, but there was nothing any of them could do when he got accused of culture appropriation. In August 2017, Starrr uploaded a photo to his Instagram debuting a curly afro that he said was inspired by Solange's chic wedding look, in which she rocked a similar hairstyle, but his followers weren't having it. According to Business Insider, some of his fans wrote that their features were "not a costume" and that the hairstyle was his attempt at being black, which ultimately led to Starrr issuing an apology to the black community via Twitter. He wrote, "I want to apologize for offending anyone with my hairstyle last night. I wanted to celebrate a beautiful hairstyle inspired by Solange… I am not in any way claiming to be black. I am Filipino and accepting and I hope we can all celebrate beauty/diversity all together." But unfortunately the damage had already been done, and he lost a seat at the table. 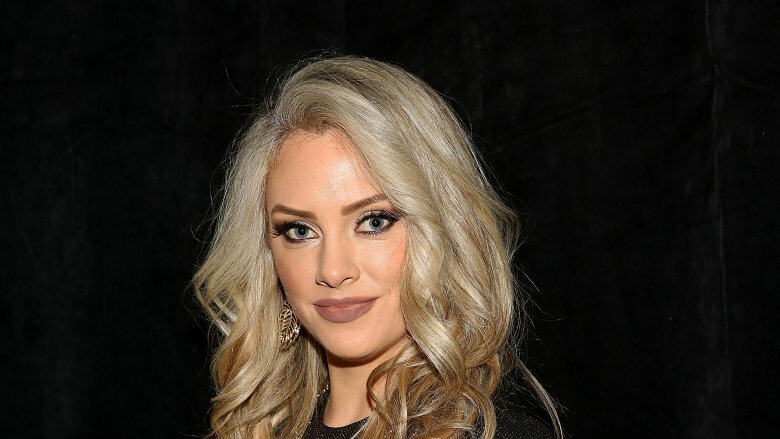 Nicole Arbour's "Dear Fat People" video, which was supposed to be a comical attempt of encouraging obese people to lose weight, was an epic fail. Many of her followers accused her of fat-shaming, which she completely disregarded and rebuffed, insisting that it was "not a thing." But director Pat Mills, who had reportedly hired Arbour to help with choreography in his then-upcoming flick Don't Talk to Irene, thought otherwise. He even told Zap2It (via People) that he'd fired Arbour from the production because the video "made me never want to see her again." He continued, "Dear Fat People' is an unfunny and cruel fat-shaming video that guises itself about being about 'health. It's fat-phobic and awful. It went on for over six minutes. I felt like I had been punched in the gut." Though Arbour shot back with a tweet declaring that she hadn't been a part of any production, we can guess that it was just her attempt at saving face. It's an unfortunate fact that people continue to offensively use the N-word and other racial slurs in this day in age, which is why it was super hurtful to see vlogger Tana Mongeau get exposed for her use of offensive language in multiple videos. It all started with a feud between her and fellow YouTuber iDubbbz: According to The Daily Dot, Mongeau called out iDubbbz on Twitter for his repeated use of the N-word in a video shared to his YouTube in December 2015. In a since-deleted tweet (likely because of backlash), she wrote, "So 3 million ppl subscribe to u and u openly say the n-word and retard???? Kill yourself." iDubbbz decided to get her back by creating a compilation video crafted out of clips of Mongeau using the same word in a multitude of videos, which led to followers deeming her as a hypocrite and a racist. Just when things were dying down, the social star trolled Mongeau again during a meet-and-greet in January 2017, which caused her career to take yet another turn for the worse. When posing for a picture with Mongeau, iDubbbz yelled, "Say n*****!" He even recorded the awkward encounter and uploaded it to his channel, where it still remains for all of her fans to see. As a result of the article, several venues dropped him from a series of shows he'd planned in celebration of the 10th anniversary of The Needle Drop. 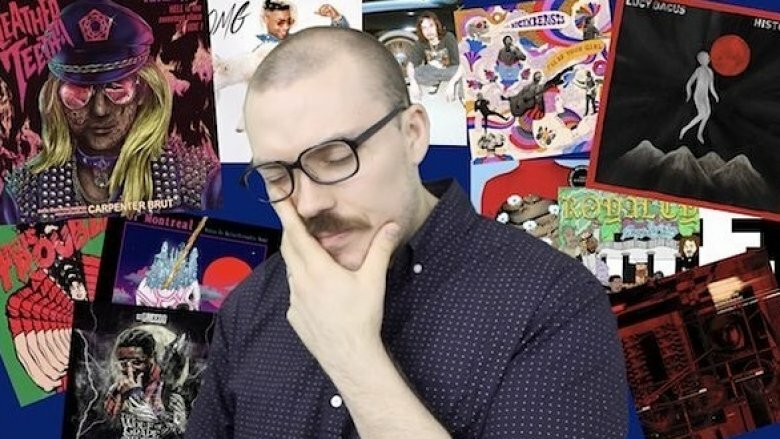 Though the publication later deleted the article and reached a settlement with Fantano over the piece, he ultimately deleted the channel and lost its 400,000+ subscribers.